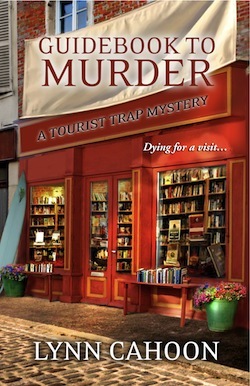 Lynn Cahoon’s Guidebook to Murder has everything a cozy mystery should have – interesting, quirky characters in an interesting, quirky small town and a quick-moving, not-too-complicated plot to keep the reader’s attention. I liked the main character well-enough to look forward to reading about her again, though I wasn’t thrilled with a few things, including her relative lack of concern for a missing best friend and some very coincidental meetings that ended up being rather big plot points. Still, Cahoon kept me turning pages and guessing whodunit till the end, so I do recommend this book to anyone who enjoys cozy mysteries or is otherwise interested in a light, quick read.